A brief introductory survey of the essential foundations of Christian theology for Christians and non-Christians alike. By Dr. Walter Martin. 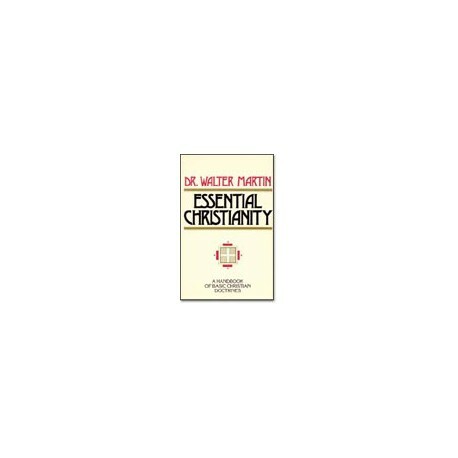 The purpose of this volume is to provide for Christians and non-Christians alike a brief introductory survey of the essential foundations of Christian theology. • Is the Bible completely true? • How can God be three in one? • Is Christ really God and man? • Who will be saved in the end? • ...plus dozens more critically important questions about God, man, and the universe. • The person who wants a clear understanding of what Christianity is all about, without wading through mountains of complex theological material. • The new Christian who needs a helpful, concise, and dependable statement of the basics of the Christian faith.